Here at Postach.io, we are experts in the world of blogging. We relate to those who thrive on sharing their ideas, thoughts, and achievements, which is why we wanted to touch on a MASSIVE topic in the blogging community — food blogging. Whether you’re scrolling through Pinterest or Facebook, food blogs are everywhere. According to one key survey, although 88 percent of bloggers in this space are motivated by their passion for food, 41 percent hope to turn their passion into a career. This is where it can get tricky, as there is a lot more to a successful food blog than great recipes and stunning photos. As a food blogger, you need to understand analytics, food culture, marketing, content creation, and even sales metrics. If you have been contemplating whether or not you should begin your food blogging journey, this is the guide for you. We want to help you grow a food blog that gets people talking — here’s how! Before we get into the nitty-gritty, above all else, you need to love food in order to run a successful food blog. Those who have the most passion towards food tend to grow a more loyal following. After all, the more passionate you are about something, the more that passion shines through. In this case, that passion may translate into thoughtful, humorous blog posts that your audience can’t get enough of. For others, their passion may be apparent based on their unique recipes, their forward-thinking photography, or their willingness to just share, share, share! If you are ready to become the food blogger you always dreamed of, here is a step-by-step process on how to achieve that dream. Although many bloggers think they need to hire a web designer, this is no longer the case. 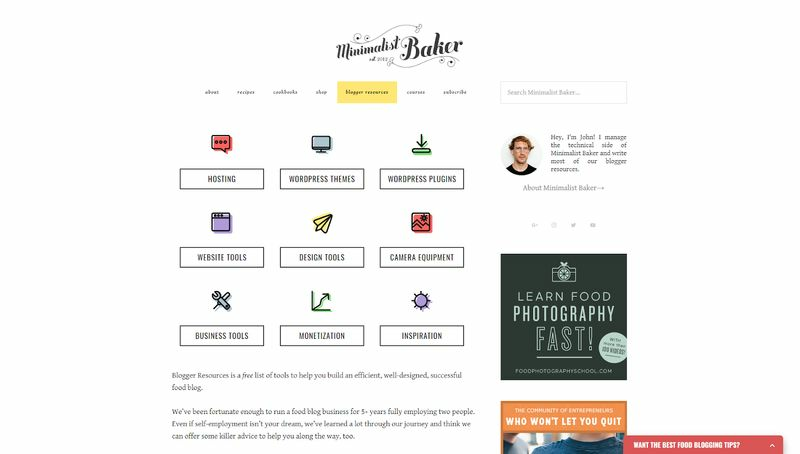 You can create a beautiful blog yourself — even as a beginner! This is what’s known as a self-hosted blog. You will find your full guide to blog hosting here. In this case, you will have options such as WordPress.org, as well as Postach.io (which was actually developed with novice bloggers in-mind). Additional tip: You will also want to invest in a domain name that is short and sweet, yet memorable. Remember, you want to essentially build a brand around your food blog. This is particularly true for those who strive to make money. Choose a blog name (and associated domain) that represents YOU and your blog. As a Postach.io member, domain name registration is included! To customize your site (and enhance your audience’s experience), you will need to select a ready-made theme or create a theme yourself. You should also familiarize yourself with available theme codes so that you can make your site as functional and beautiful as possible. Each platform is different in terms of content creation. 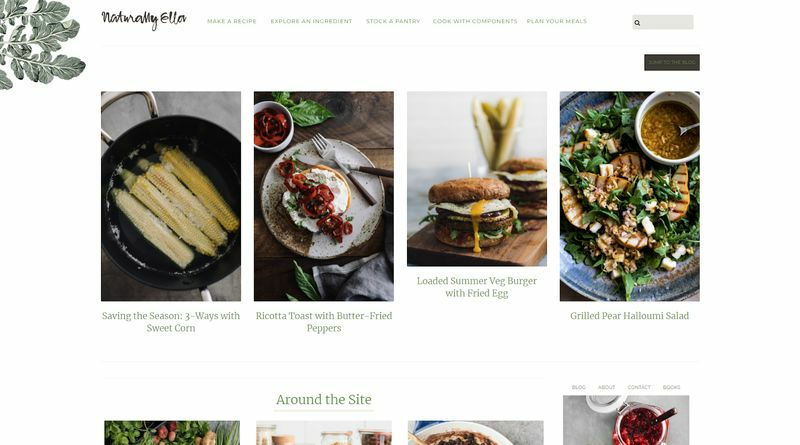 If you are someone who wants to express and share your love of good food but are anxious about actually creating content, Evernote is for you. Helping novice bloggers take their content to the next level, this software is much more than a note-taking app. Offering plenty of add-ons and tools, Evernote will quickly become your online workspace. Remain relevant in terms of recent trends, seasonal foods, etc. If you’re looking to write your first (amazing) blog post, here’s how. 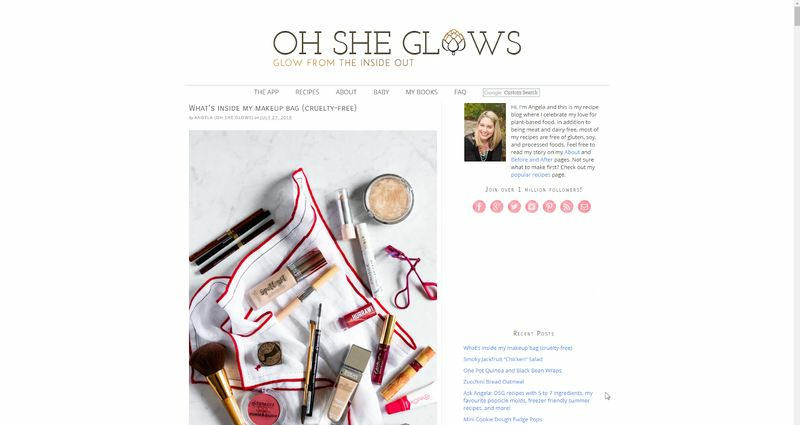 Step four: Promote your blog! In the blogging world, just because you build it, does not mean they’ll come. You have to put yourself out there, marketing who you are and what you offer. Social media is a great outlet, which is why you need to share often and add social links to your blog. That way, you can grow your social media following through your blog (and vice versa). Also, be sure to generate an email list, as you can leverage in regards to monetization. 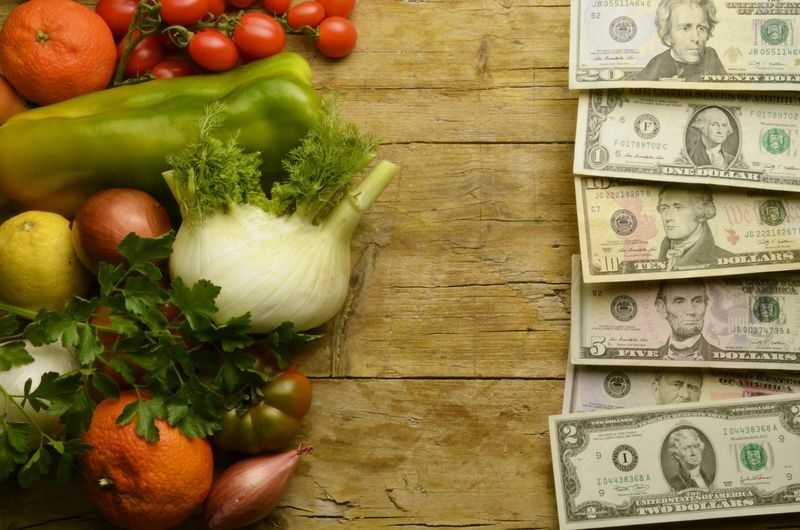 If you’re looking to make a bit of extra cash, food blogging can certainly be a lucrative side gig. There are even some bloggers that are making thousands of dollars a month. Food blogging can open up many doors, including paid reviews and sponsored content. One blog, which we will discuss below made $802,144.55 in a 12-month period (with a profit of $482,883.51). Yes, you read that right. 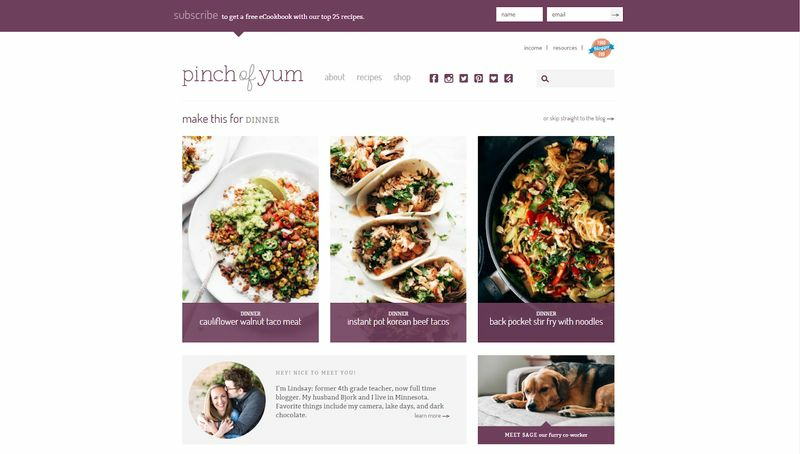 Pinch of Yum treated their blog as a business — and you can too. Today, we’re going to discuss the two main revenue streams for food blogs, which includes affiliate programs and advertising opportunities. Affiliate programs — Affiliate marketing allows you to make money by promoting a product or service. For example, say you advertise a mixer offered by a third-party. Due to affiliate cookies, once one of your readers goes to their site and makes a purchase, you get a percentage of that sale. In some cases, bloggers also get paid per click or paid per lead. Some of the most common affiliate programs to get you started include Amazon Associates, Gourmet Ads (which ties into advertising), and Sovrn. Advertising — When it comes to earning money through advertising, your best place to start is Google AdSense. As mentioned above, most bloggers will get paid based on a “per click" or “per view" basis. To make this revenue stream successful, you need to increase your traffic. As a side tip, be sure to write a strong “About Me" page that will make people not only stay on your blog but come back for more. As you get the hang of blogging and find your voice within an exciting niche, the world is your oyster. 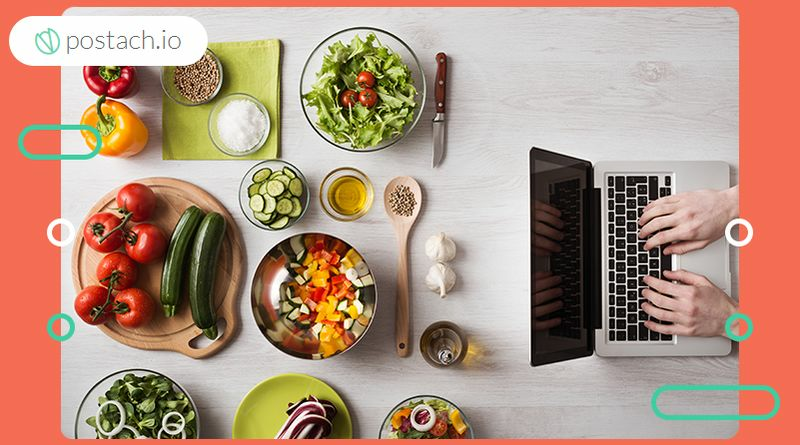 Write your own cookbook, record and sell training videos, review recipes and restaurants—the list goes on and on! Like anything, if you want to make money from your food blog, you&apos;ll need to invest some cash in order to make a living. Bidding on keywords relevant to your niche through Google Adwords is a good place to start. Sometimes, it’s best to see what others are up to in order to find inspiration. Of course, you will want to be unique and authentic, but that does not mean that you cannot learn from the online strategies of others — especially those who are successful. Although all of these blogs are unique—they have each developed their own niche market and audience—they share a lot of similarities. The most important common denominator is that they all create and publish great content — which is vital! After all, you know what they say, "Content is king." Always have this in the back of your mind when you&apos;re planning and writing your content. Study the above blogs and make notes about the strategies they use, their key design elements, and never stop sharing! Food blogging requires time and patience. You can&apos;t build an empire overnight. You need to remain dedicated to your craft. Always do your research: Food blogging is a journey, and you should never stop learning. Focus on the best social media practices, develop your photography/video skills, understand the importance of SEO, etc. Understand your audience: Although you will want to stay true to yourself, you need to appeal to your intended audience. What are their interests? Where do they hang out? Once again, this will take some time and commitment in terms of research. Over time, build your "fan" base. Keep it simple: A blog doesn&apos;t need to have a million features. Instead, food blogs should be easy to navigate. Network, network, network! You would be surprised to know how many bloggers are willing to help other bloggers in need of advice. Comment on other blogs to make friends while increasing your blog&apos;s exposure. Food photography matters, big time! Invest some time in learning the basics, especially in terms of photo editing software. If you don’t want to invest in Adobe Creative Cloud, Gimp is powerful, free open-source image editing software that can take you a long way. 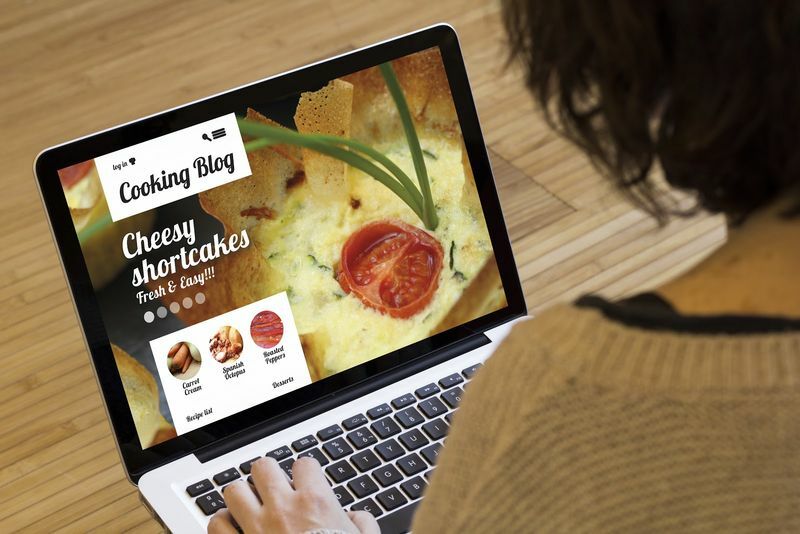 If you&apos;re ready to start a food blog, there is no better time than the present. Start sharing your recipes and food experiences with the world! Most importantly, don&apos;t worry about everything being perfect right away. Blogging is a craft and skill that you will develop over time. That is why you should dive in with passion and confidence, as you create your food blogging empire. Have questions? We want to help you reach your food blogging goals! Be sure to check out our FAQ page for helpful resources. Happy cooking, writing, and sharing!